The above picture shows the Blackfoot warrior holding a Prayer Stick that was used to make offerings and petitions to the spirit world. The Blackfoot men wore bright face paint for religious ceremonies and, more famously in times of war. War Paint was used to make warriors look ferocious and the designs and colors that were used were believed to hold magic powers of protection. The red color as worn by the above Blackfoot warrior symbolized war, blood, power, strength, energy and success. Summary and Definition: The Blackfoot tribe, also known as the Siksika, were a fierce, warlike Native Indian nation who were involved in many inter-tribal conflicts in North Dakota and South Dakota. The Blackfoot tribe fiercely resisted the white encroachment of the Great Plains. The names of the most famous chiefs of the Blackfoot tribe included Morning Owl, Red Crow, Yellow Horse, Red Plume, Chief Crowfoot and Running Rabbit. What was the lifestyle and culture of the Blackfoot tribe? The Blackfoot tribe nomadic hunter gatherers who living in tepees and hunted the buffalo and other game such as deer, elk and mountain sheep. The only plant that the Blackfoot tribe cultivated was tobacco. Men were in charge of hunting for food and protecting the camp and the women were in charge of the home. The vast range of the Blackfoot tribe stretched from the Missouri River from the Yellowstone and north to the North Saskatchewan and westward towards the Rockies. Why was the tribe called the Blackfoot? Their name was 'Siksika' meaning "Those with Black Moccasins." The moccasins of other tribes were a light beige color but the Blackfoot made their moccasins from the smoked skin cut from the top of an old tepee which had been smoked so much that it turned black. Where did the Blackfoot tribe live? The Blackfoot are people of the Great Plains Native American cultural group. The location of their tribal homelands are shown on the map. The geography of the region in which they lived dictated the lifestyle and culture of the Blackfoot tribe. What did the Blackfoot tribe live in? The Blackfoot tribe lived in tepees which were the tent-like American Indian homes used by most of the Native Indian tribes of the Great Plains. The tepee was constructed from wooden poles that were covered with animal skins such as buffalo hides. The tepee was designed to be quickly erected and easily dismantled. What language did the Blackfoot tribe speak? The Blackfoot tribe spoke in the Algonquian language. The food that the Blackfoot tribe ate was primarily the buffalo but all types of other game were eaten if they were available. Meat was supplemented by roots, herbs, berries and fruits. The preferred method of cooking meat was by roasting however, the Blackfoot women also boiled meat sometimes in a bowl of stone or alternatively in a container made from the hide or the paunch of a buffalo. What weapons did the Blackfoot use? The weapons used by the Blackfoot tribe included bows and arrows, war clubs, spears, lances and knives. They also used shields made of buffalo hides for protection. What clothes did the Blackfoot men wear? The types of clothes worn by the men depended on the weather and the occasion. In warm weather men and boys wore little clothing, usually just a breech cloth. In cold weather they wrapped up in a warm robe of tanned buffalo skin. All their clothing, their beds and their homes were all made of the skins of animals. The skins were sewn together from the thread made from the sinews of deer. The Blackfoot men also wore fringed buckskin tunics which were often decorated with beads. The tunics were accompanied by leggings that were sometimes decorated with a fringe. In many Native Indian tribes the war chiefs wore the headdresses with feathers that leaned downwards. The Blackfoot however wore upright feathers in a halo war bonnet decorated with eagle feathers, ermine fur and beadwork as shown in the above picture. What clothes did the Blackfoot women wear? The type of clothes worn by the women were ankle length dresses made of buckskin dresses (the skin of a male deer) The dresses were decorated with beads. The women also wore leggings in cold weather. What was the religion of the Blackfoot tribe? The religion and beliefs of the Blackfoot tribe was based on Animism that encompassed the spiritual or religious idea that the universe and all natural objects animals, plants, trees, rivers, mountains rocks etc have souls or spirits. The Great Plains tribes such as the Blackfoot believed in Manitou, the Great Spirit. 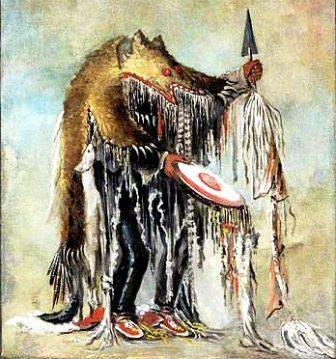 The amazing picture depicts a Blackfoot Medicine Man as a 'Skinwalker'. Attached to the grizzly bear Skinwalker costume are the skins of many other animals such as frogs, bats and snakes. The beaks, toes and tails of birds are also attached to the costume as well as the hooves of deer and goats. The Medicine Man was believed to have a spiritual connection with animals, supernatural creatures and all elements of nature. The Medicine Man's role was that of opponent to the bad spirits and guardian of the ordinary man. The Medicine Man used chants, dances and rituals to protect men from evil spirits. The Medicine Man was a healer, a prophet and a mystic and as such held an important position within the Blackfoot Tribe. Who were the most famous leaders and chiefs of the Blackfoot tribe? The Blackfeet, the Bloods (Kainai), and the Piegans formed the league of the Siksika nation. 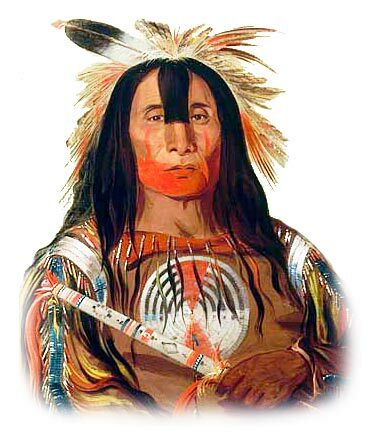 The most famous leaders and chiefs of the Blackfoot tribe included Morning Owl, Red Crow, Heavy Runner, Mountain Chief, Yellow Horse, Red Plume, Chief Crowfoot and Chief Running Rabbit. It was Chief Crowfoot who negotiated a peace agreement with the Canadian government. Their allies were the Gros Ventres of Montana and the Sarcee in Canada. The Blackfoot tribe had many enemies including Cree, the Assiniboin, the Sioux, the Crow, the Nez Perce, the Shoshone, the Flathead. But their biggest enemy was the white man who they called the Big Knives. Blackfoot History: What happened to the Blackfoot tribe? The First Dragoon Expedition of 1834 was the first official contact between the US government and the Plains Indians and conflicts with the whites soon followed. The Lame Bull Treaty was signed in 1855 and the Blackfoot were relegated to the reservation. More conflicts arose with the US army under the command of General Philip Sheridan. By the 1870's the deliberate great slaughter of the northern bison herds to prevent the Native Indians continuing the Great Plains lifestyle had taken effect. 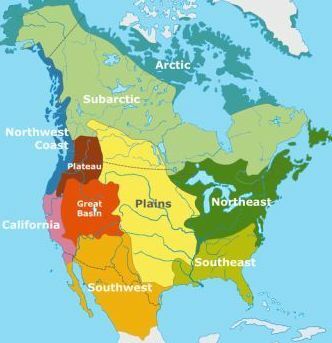 Many of the Blackfoot fled to Canada. In 1898, the US government dismantled tribal governments and outlawed the practice of traditional Native Indian religions - it was reversed in 1934. For additional facts and information refer to the legend and the Story of the Ancient Blackfeet.